Doug Collier is La-Z-Boy’s Senior Vice President, Chief Commercial Officer and President, International. In this position he has global responsibility for all facets of sales, merchandising and marketing for La-Z-Boy and P&L responsibility for its international business. 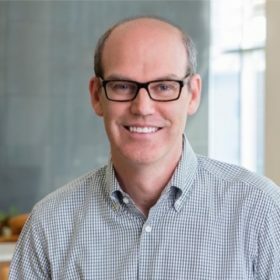 He rejoined La-Z-Boy as Chief Marketing Officer in June 2007 after two years with Select Comfort as Chief Marketing Officer and Senior Vice President, Marketing. Prior to Select Comfort, Mr. Collier held various leadership positions with La-Z-Boy Incorporated from 2002 to 2005, including Vice President, Marketing and Furniture Galleries Development. From 2000 to 2001, Mr. Collier was the Senior Vice President, Marketing and Product Management for Iomega Corporation and in addition headed up their Asian and European businesses. From 1996 to 2000, he held various positions with NIBCO, Inc., a private manufacturer of flow control products, including General Manager and Director of eBusiness and Marketing. From 1992 to 1996, Mr. Collier served in several capacities for Whirlpool Corporation, including as a Product Director of Laundry for Whirlpool Europe and Director of Business Development for Whirlpool North America. Prior to 1992, he held several positions with GE Appliances in his native Canada. Doug is on the Executive Committee of the CMO Council of the National Retail Federation (NRF), is on the advisory board of the Global Retail Marketing Associations (GRMA) and is a board member of the American Home Furnishings Alliance. He also serves as a mentor for Endeavor Detroit, the high impact entrepreneurship movement. He lives in Ann Arbor, MI with his wife Ronda and enjoys running, travel, technology, reading, wine and food.